Reserve 1 tablespoon small brownie pieces for garnish. 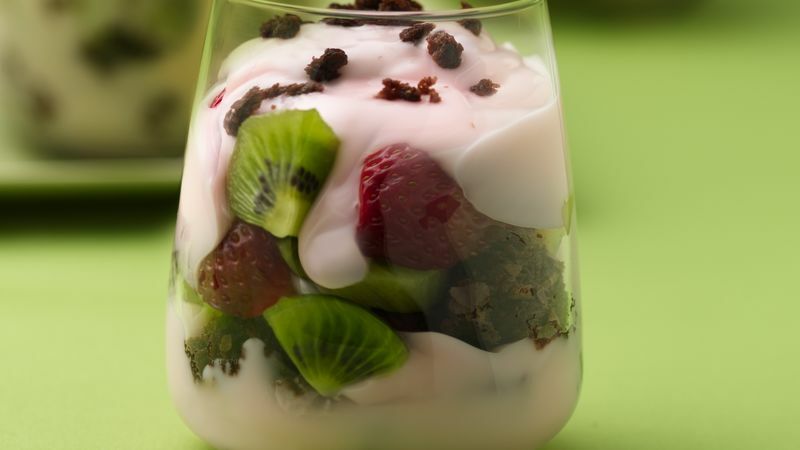 In each of 4 serving glasses, layer the remaining brownie pieces, the strawberries and kiwifruit. Top each with 1/2 cup yogurt. Garnish each parfait with reserved brownie pieces. Serve immediately. You can use 10 chocolate wafer cookies, broken into pieces, instead of the brownies, if you like.